Merrythought Francis Bear Discounts Apply ! Made of Finest Quality Short-Pile, Chocolate Coloured Mohair. He is fullly jointed and made with love. 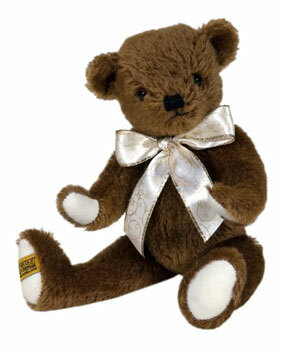 Has The Merrythought logo on his foot which is the mark of a Trully British Made Bear. Francis Bear is part of Merrythoughts 2012 Exclusive range. He comes with a certificate attached to him.